Alexander’s Patisserie in Mountain View: We dare you to not pack up a macaroon or mousse for later. You don’t have to live in Mountain View to take advantage of the delicious brunch scene brewing there these days. These Mountain View restaurants are worth going out of your way to visit. We’ve rounded up some of the best restaurants in Mountain View to grab some late breakfast or early lunch this weekend. And we’re pretty sure they’ll tempt you other times of day with happy hours or desserts, too. Bon appétit! Scratch: (401 Castro St.) Everybody loves some good comfort food, especially when it tastes like homemade, or made from scratch. (Get it?) Castro Street restaurants are a foodie dream, so you’ve really got to bring it to stand out here. This place has brought it. You’ll find solid American favorites with an upscale twist. Dana Street Roasting Company: (744 W. Dana St.) A good brunch is nothing without a good brew (of coffee, of course). This independent café is neither fancy nor schmancy. They’ve been at it for 20 years, and with that kind of staying power among restaurants in Mountain View, you know it’s passed the taste bud test. The coffee is all house-roasted and served at reasonable prices in a laid-back atmosphere. You’ll also find great sandwiches, salads, and pastries, along with free Wi-Fi, and live music on the weekends. Alexander’s Patisserie: (209 Castro St.) If you like your brunches in smaller portions on the fancy side of decadent, this high-concept bakery is your standout among other Mountain View downtown restaurants. 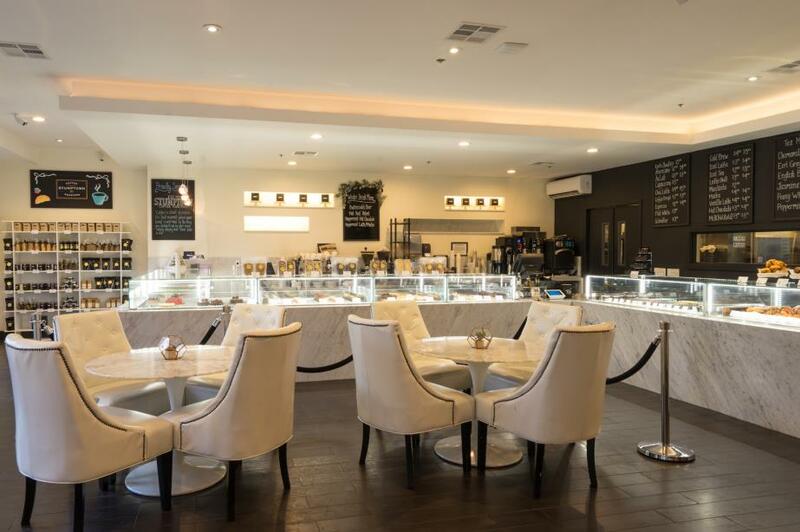 Savor impeccable pastries, tarts, cakes and sandwiches in a stylish location. Try the banana chocolate croissant or maple bacon roll. For something savory, there’s a mushroom and caramelized onion Danish. Red Rock Coffee: (201 Castro St.) If you’re hungrier for more than nibbly bites like seed and nut bars or yogurt, you’ll want to keep moving, but if you’re mostly interested in coffee, this is it. Serious coffee aficionados will appreciate the twice-monthly coffee tastings that help develop your coffee palate. Plus, the calendar is always full of local talent to keep you coming back to hang out. Café Olympus: (135 Castro St.) Sometimes, you need breakfast no matter what time the clock says. Brunch can be served late in Mountain View restaurants, but here, breakfast is served all the time. That means you can get your crepes, omelets and Mediterranean-inspired starters anytime you want them.